All registers are colour coded for easy identification and all registers comply with the Firearms Control Act of 2000. All registers were checked by CFR for compliance. Registers are big enough for easy writing but compact enough to not require much space on a counter top. GSC Registers are most economical per entry, of all approved registers. 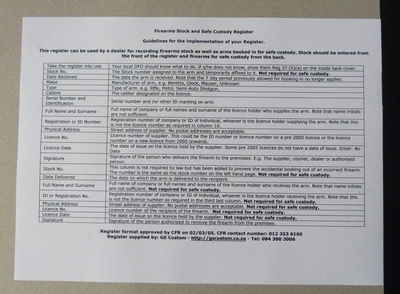 Registers have a users guide inside the front cover and the relevant sections from the Firearms Control Act and Regulations. There are also instructions for the Designated Firearms Officer, how to comply with the Law and Regulations, inside the back cover. 8. For all the shooting ranges that require it, there is a Register of Shooting Range Attendance. 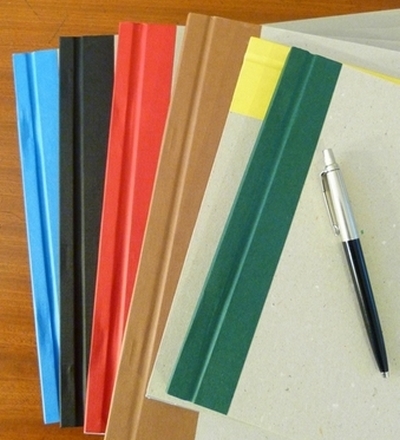 Our registers can take more than double the entries of competitive products. Coupled with the low price, the cost of each register entry is less than one third of the price of competitive products. All registers are hard cover and colour coded for convenience. 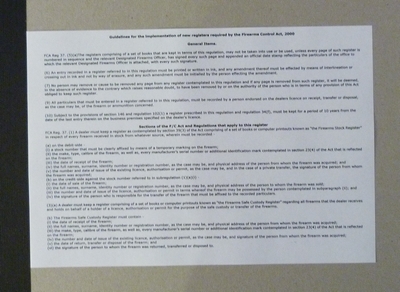 All our registers include guidelines on the correct use of the new registers in accordance with the Act. Should we be out of stock of a particular register, we will notify you by e-mail. On all orders, payment is only required when your order is ready for shipping. Call 084 300 3006 or email or fill in the order form below. Send by SA Post (at own risk), courier or pick up.